The word doula is a Greek word meaning "women’s servant". Women have been serving others in childbirth for many centuries and have proven that support from another person has a positive impact on the labor process. A doula is a professional trained in childbirth who provides emotional, physical, and educational support to a mother or pregnant person who is expecting, is experiencing labor, or has recently given birth. The doula’s purpose is to help people have a safe, memorable, and empowering birthing experience. Most often the term doula refers to the birth doula, or labor support companion. However, there are also antepartum doulas and postpartum doulas. Most of the following information relates to the birth doula. Doulas can also be referred to as labor companions, labor support specialists, labor support professionals, birth assistants, or labor assistants. Most doula-client relationships begin a few months before the baby is due. During this period, they develop a relationship in which the pregnant person and their partner or other support people feel free to ask questions, express their fears and concerns, and take an active role in creating a birth plan or vision. Most doulas make themselves available to the mother or pregnant person by phone, email or text in order to respond to their questions or address any concerns that might arise during the course of the pregnancy. Doulas do not provide any type of medical care. However, they are knowledgeable in many medical aspects of labor and delivery. As such, they can help their clients gain a better understanding of the procedures and possible complications in late pregnancy or delivery. During delivery, doulas are in constant and close proximity to the person giving birth. They have the ability to provide comfort with pain-relief techniques including breathing techniques, relaxation techniques, massage, and laboring positions. Doulas also encourage participation from the partner and offer reassurance. A doula acts as an advocate for the pregnant person, encouraging and helping their fulfill specific desires they might have for birth. The goal of a doula is to help the pregnant person experience a positive and safe birth, whether an un-medicated, medicated or cesarean birth. After the birth, many birth doulas will spend time helping new parents begin the nursing process and encouraging bonding between the new baby and other family members. Numerous studies have documented the benefits of having a doula present during labor. A recent Cochrane Review, Continuous Support for Women During Childbirth, showed a very high number of positive birth outcomes when a doula was present. With the support of a doula, women and birthing people were less likely to have pain-relief medications administered and less likely to have a cesarean birth. Women also reported having a more positive childbirth experience. Other studies have shown that having a doula as a member of the birth team decreases the overall cesarean birth rate by 50%, the length of labor by 25%, the use of pitocin by 40%, and requests for an epidural by 60%. Doulas often use the power of touch and massage to reduce stress and anxiety during labor. According to physicians Marshal Klaus and John Kennell, massage helps stimulate the production of natural oxytocin. The pituitary gland secretes natural oxytocin to the bloodstream (causing uterine contractions) and to the brain (resulting in feelings of well-being and drowsiness, along with a higher pain threshold). Historically it was thought that intravenous pitocin does not cross from the bloodstream to the brain in substantial amounts and, therefore, does not provide the same psychological benefits as natural oxytocin. However, more recent studies indicate that pitocin administered nasally and/or intravenously may cross from the bloodstream to the brain. Nonetheless, doulas can help the birthing person experience the benefits of oxytocin naturally without the use of medication. What about the husband, father or partner's role when using a Doula? The role of the doula is never to take the place of husbands or partners in labor but rather to compliment and enhance their experience. Today, more husbands and partners play an active role in the birth process. However, some partners prefer to enjoy the delivery without having to stand in as the labor coach. By having a doula as a part of the birth team, a father or partner is free to do whatever they choose. Doulas can encourage the other parent to use comfort techniques and can step in if they wants a break. Having a doula allows the other parent to support their partner emotionally during labor and birth and to also enjoy the experience without the added pressure of trying to remember everything they learned in childbirth class! The presence of a doula can be beneficial no matter what type of birth you are planning. Many people report needing fewer interventions when they have a doula. But be aware that the primary role of the doula is to help birthing people have a safe and pleasant birth–not to help them choose the type of birth. For birthing people who have decided to have a medicated birth, the doula will provide emotional, informational, and physical support through labor and the administration of medications. Doulas work alongside medicated birthing people to help them deal with potential side effects. Doulas may also help with other needs where medication may be inadequate because even with medication, there is likely to be some degree of discomfort. For a pregnant person choosing a cesarean birth, a doula can be helpful by providing constant support and encouragement. Often an unplanned cesarean birth result from an unexpected situation leaving a pregnant person feeling unprepared, disappointed, and lonely. A doula can be attentive to the person giving birth at all times throughout the cesarean, letting them know what is going on throughout the procedure. This can free the partner to attend to the baby and accompany the newborn to the nursery if there are complications. What about other types of Doulas? In addition to birth doulas, there are antepartum doulas and postpartum doulas. There are also doulas that assist people in abortion and doulas that assist people at end of life. Antepartum doulas provide support to a mother who has been put on bed rest or is experiencing a high risk-pregnancy. They provide informational, emotional, physical, and practical support in circumstances that are often stressful, confusing, and emotionally draining. 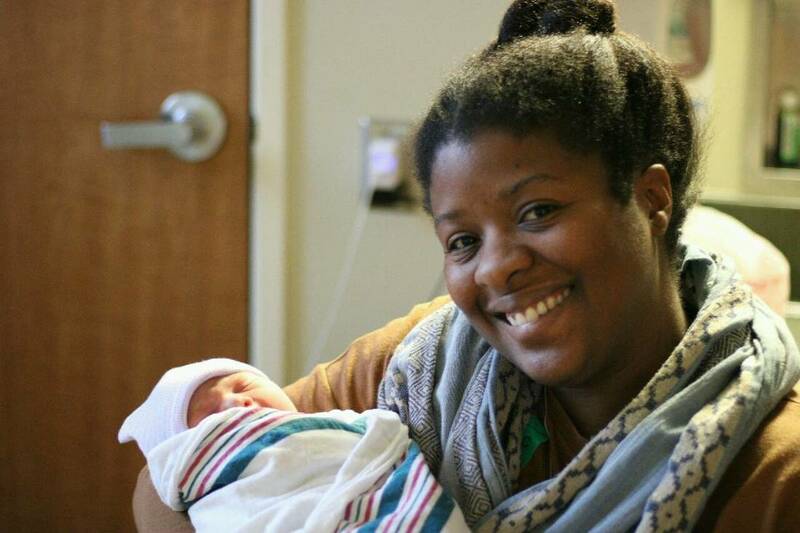 Postpartum doulas provide support in the first weeks after birth. They provide informational support about feeding and caring for the baby. They provide physical support by cleaning, cooking meals, and filling in when a new parents needs a break. They provide emotional support by encouraging new parents when they feel overwhelmed. Some doulas have training in more than one area and are able to serve as more than one type of doula. The key to choosing a doula is to find a person with whom you feel comfortable. Most doulas do not charge for an initial consultation, so take the time to interview as many as necessary until you find a good match. What made you decide to become a doula? What is your philosophy regarding childbirth? Would you be available to meet with me before the birth to discuss my birth plan? What happens if for some reason you are not available at the time I give birth?